I'm not much of a hot beverage kind of person, even in the winter. 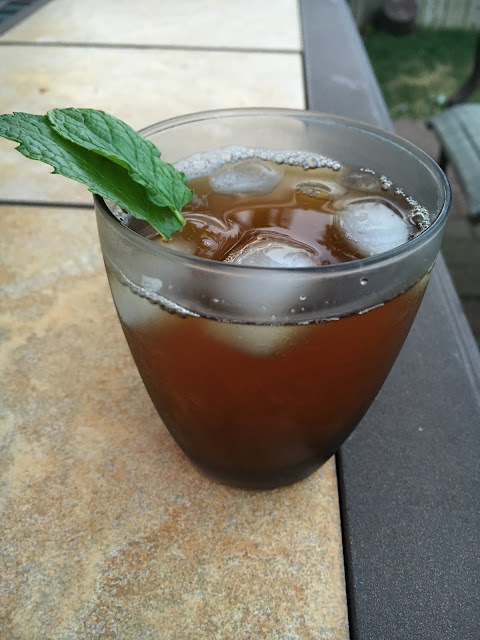 All year long, I enjoy iced tea...but especially on steamy summer days when you serve the glass loaded with ice and the outside of the glass covers with condensation. It's so refreshing. Sometimes in the summer I make sun tea. I used to go through a couple clear sun tea dispenser jars each summer. and I'd wear out the nozzles or they'd crack. Now I use my clear Pampered Chef gallon pitcher. I put in 4 or 5 tea bags and fill it with water and let it sit in the sun for an hour or two. Then I add sugar and I'm ready to go. However, I learned last year a "recipe" for sweet tea. Sounded kind of strange to me as all I really knew was steeping tea in hot water for hot tea or making sun tea for iced tea (or dad's old instant method.) Somehow I never thought about steeping tea as if making a cup of hot tea and then adding ice to it. But, once I did it ,I realized how much better it tastes. So, here's my recipe for one of my favorite varieties of iced tea - Decaf Ginger Peach. I keep my cabinet loaded with black tea bags and also with a variety of flavored tea bags and loose leaf teas. 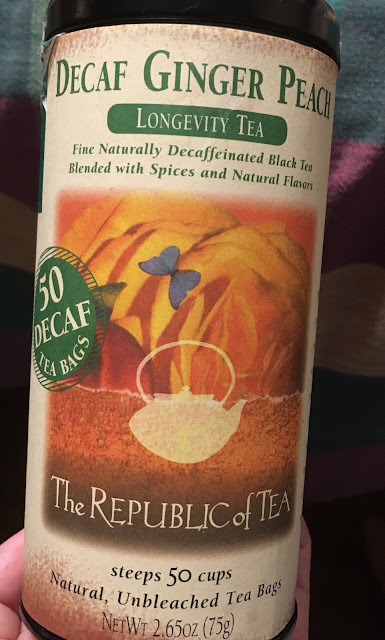 I'm very fond of The Republic of Tea and many of their great flavors. So, when I have seen tea recipes, they call for 1 cup of sugar for 2 quarts. I use one cup of sugar for a gallon so it's not overly sweet.